The increase in crude oil shipments results in environmental and safety risks from accidents that may occur along pipelines, rail lines, waterways and at transshipment sites. All of these modes pose certain risks and each has certain advantages compared with the other modes All the modes of crude oil transport pose potential risks to the environment, public health and safety. All modes of crude oil transport have advantages and disadvantages based on a range of operational, economic and environmental factors and considerations. Modes of transport like railroads, vessels, barges and trucks can carry less of oil in comparison to the pipelines, but their routes are more flexible, allowing oil industry shippers to respond more quickly to changing production locations and volumes and changes in demand from coastal refineries Risk may range from a modest spill on isolated rural land in the winter (limiting ground contamination) to a major catastrophic spill in large water bodies or a derailment-produced spill and fire in a major urban area. Different types of oil influence the mode or modes of transportation chosen and the risks associated with those choices .Manufacturing industries that rely both on oil for their operations and water for their industrial processes and could be impacted by oil spills . A spill in an important and sensitive region can have far-reaching consequences, including both the damage created by the oil itself and the effect of intensive cleanup efforts, which can compound the environmental impacts in ecologically sensitive areas. A pipeline oil spill, when one occurs, can have severe and long lasting impacts on public health, the environment and regional economy .The age and quality of the pipeline infrastructure are important factors in assessing oil spill risk from this mode .Pipelines result in fewer oil spill incidents and personal injuries than road and rail, and large spills in the recent past shows that the overall impact of a spill on the environment, economy and human health can be serious. Over time the quality of pipeline declines due to structural degradation, cracks caused by corrosion, defective welding or incidental damage from third-party activities. Damages to pipeline infrastructure may contribute to increased risks of a pipeline spill. Pipelines require regular maintenance inspections and constant monitoring during operation. Accidents may occur from undetected structural or mechanical failure and made worse by insufficient or delayed monitoring. Ships and barges pose fewer risks in transporting hazardous liquids than trains and trucks, and have economic advantages over these modes of transport, as well .A barge or tanker ships containing crude oil may undergo severe structural damage and spill cargo as the result of a collision with another ship. 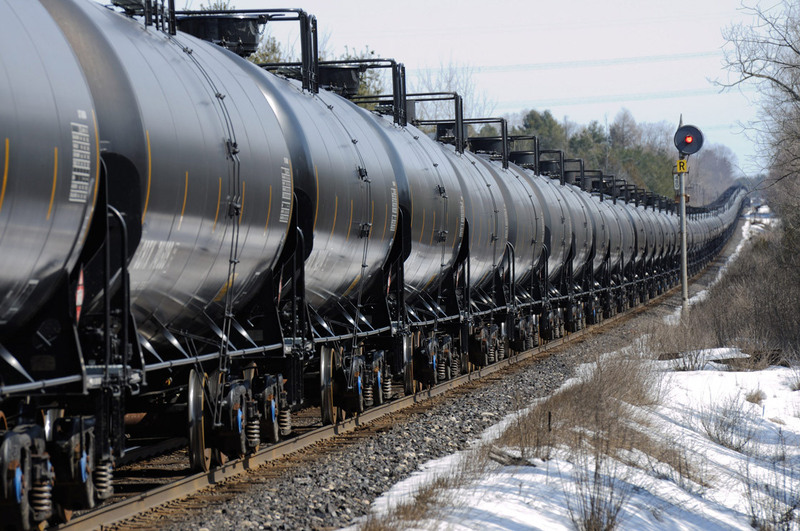 The increased volume of rail transport has also led to a rise in oil spill incidents involving trains .Unmonitored crossing points are special risk zones where accidents with automobiles can increase the risk of an oil spill or explosion. Even improperly assembled trains are more susceptible to derailment .Trucks are primarily used to transport oil for relatively short distances because long distance transport by truck is not ordinarily an economical option. Since large trucks are used to transport oil to and from railway transshipment facilities and pipelines, poorly maintained and monitored infrastructure at delivery points and fuel loading terminals could contribute to accidents, including fire and explosion.